Express Error Handling Example Tutorial is today’s leading topic. One of the most crucial things in a building web applications are error handling. The system will depend on many services, databases, as well as consumers of those services, the unexpected becomes expected. Databases will fail, services become unavailable, server timeout. So your consumers won’t be calling your endpoints with the parameters you would expect. To prepare your application for such scenarios, you need to handle errors appropriately. Error Handling refers to how Express catches and processes errors that occur both synchronously and asynchronously. Express error handling middleware is a powerful tool for consolidating your HTTP error response logic. 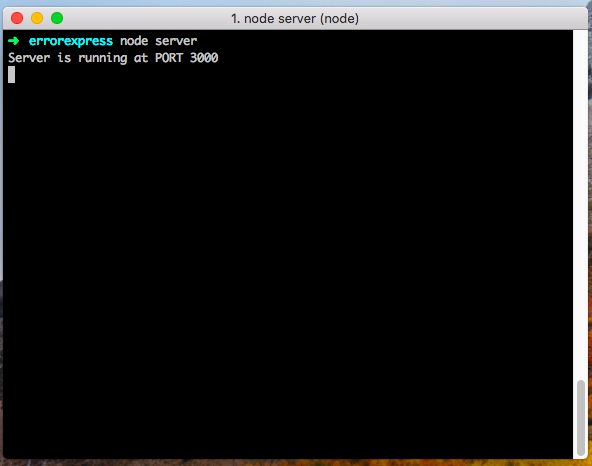 5 #2: Setup Express server. Let us take a simple example of error handling. Here, we have defined the endpoint called ‘/customers.’ So when any consumer tries to access the route ‘/customers,’ it will go through the try-catch block. If any error occurs then, it will immediately throw an exception and error will be returned otherwise the users will be returned. The above pattern works well if you have one or two endpoints, but if you’re maintaining dozens of endpoints, then you are going to lose your mind quickly. Let’s say you have decided that HTTP response code 503 is more appropriate than HTTP 500; so you are going to have to change that for every single endpoint. It is essential to assure that Express catches all the errors that occur while running route handlers and middleware. Errors that occur in synchronous code inside route handlers and middleware require no extra work. If synchronous code throws an error, then Express will catch and process it. throw new Error("Opps!! Something went wrong"); // Express will catch this on its own. The only way to report errors to Express for use with error handlers is using the third argument to standard middleware, the next() function. Now, let us take a practical example. Create an express project folder. Open the project in VSCode. Okay, now inside the root, create one file called server.js. Now, add the exception code. Save the file and go to the terminal and start the node server. You will see the JSON response with an error message. So this is how we can write a middleware that throws an error. Express was mostly written 2011-2014, before ES6, and it still lacks a good answer for how to handle the async/await keywords. We can write the above code in async/await manner. Finally, Express Error Handling Example Tutorial is over. Thanks for taking. `await new Promise(resolve => setTimeout(() => resolve(), 50));`? Would it be fine if you just throw the error when needed? If you want to avoid using the wrapAsync function trick, you can use the package express-async-errors (https://github.com/davidbanham/express-async-errors). Only a ‘require’ and that’s all, as documentation says.